South Korea going 100 percent renewable by 2050 is not a sci-fi fiction, but will become reality, if only it stays committed, a global environmental leader said. Currently, renewable energy, such as solar and wind power, accounts for just 2 percent of the country’s electricity production, while coal-fired power plants generate about 40 percent and nuclear reactors 30 percent. The Moon Jae-in administration is making a strong push for renewables, aiming to raise its share to 20 percent by 2030, which sparked concerns from some industries and experts. 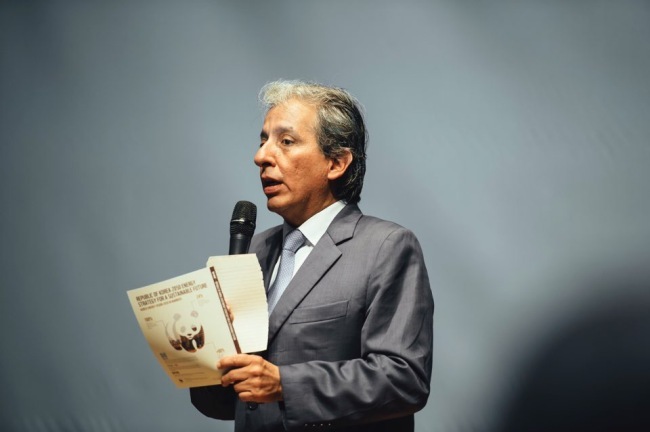 However, Manuel Pulgar-Vidal, World Wide Fund for Nature’s leader of climate and energy practice, said with confidence that South Korea should take bolder approaches and aim for 100 percent renewables by 2050. “We should not think about limits of the current context because we are talking about a mission that is going to work jointly with future trends of industry, markets, consumers, technology, innovation and more,” he said in an interview with The Korea Herald on Wednesday. Pulgar-Vidal chaired the UN climate talks through 2014, culminating in the Lima Accord on climate change, which laid the foundations for the 2015 Paris Agreement. 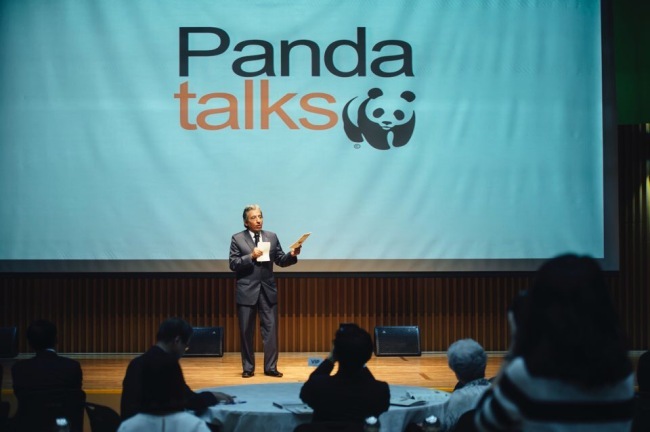 On a three day visit here, he delivered a keynote speech at the Korea Energy Vision 2050 forum hosted by WWF-Korea, during which various future energy scenarios were introduced. Among them was a proposal for Seoul prepared and presented jointly by WWF-Korea and leading experts including professors from Seoul National University. The report includes a roadmap for Korea to achieve 100 percent renewable energy, reduce energy consumption levels by 24 percent and slash greenhouse gas emissions by 90 percent by 2050. “Fortunately, Korea has already begun to take a leading approach like phasing out the coal powered plant, but the current reduction targets are considered insufficient to meet the global goals outlined in the Paris Agreement, which aims to keep warming below 1.5 degree Celsius,” said Pulgar-Vidal. He also stressed that a clean energy transition can offer a major opportunity for new jobs and economic growth for Korea. With the expansion of the green infrastructure, renewable energy sectors will generate better quality jobs, he said. According to WWF’s report, the rate of employment in renewable energy sectors has been rapidly growing, with almost 10 million jobs newly created globally in 2016. Pulgar-Vidal said Korea is well positioned to be a major player in this fast growing sector, with a strong workforce and advanced technologies. He added that a future prosperity will be heavily dependent on a secure and affordable energy supply, and because South Korea lacks domestic energy reserves, it should turn its eye to expanding domestic renewable energy sector, shifting away its heavy dependence on imports. The BP Statistical Review of World Energy 2016 showed that South Korea was the world’s ninth-largest energy consumer in 2015, relying 98 percent of fossil fuel consumption on imports. To promote social acceptance for a safe and sustainable energy transition, Vidal said Korea should first raise public awareness on energy consequences.